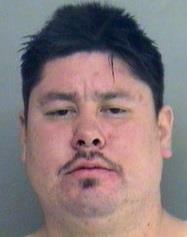 Brian THOMAS is a First Nations male who is 5 ft. 11, 140 pounds with short brown hair and has a moustache. He has a tattoo on his right forearm which spells Jillian and a tattoo on his left forearm of a feather. If you have information on the whereabouts of Brian THOMAS Jr. call 911 contact Crime Stoppers at www.nanaimocrimestoppers.com. text, 274637, keyword Nanaimo or call 1-800-222-8477.